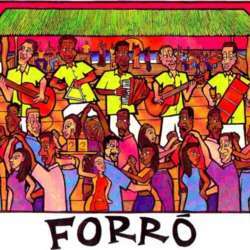 Live northeastern brazilian music party and hugging dance forro. Calangos Forró Pé de Serra group will captivate us by reviving the traditional music of northeastern Brazil. Please reconfirm your attendance with sms or call. 4 members minimum for the event to take place.